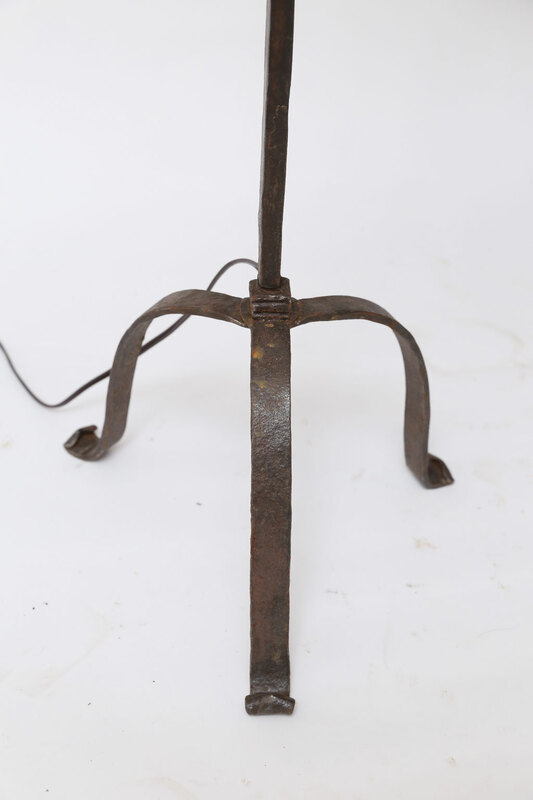 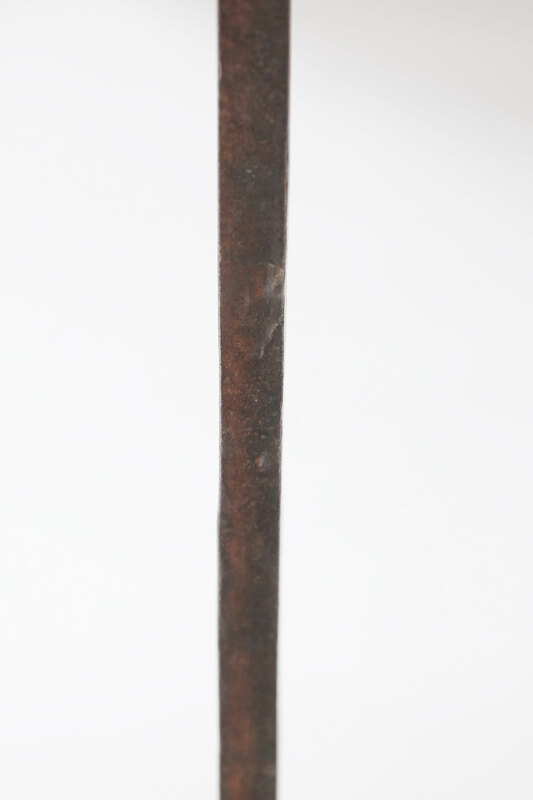 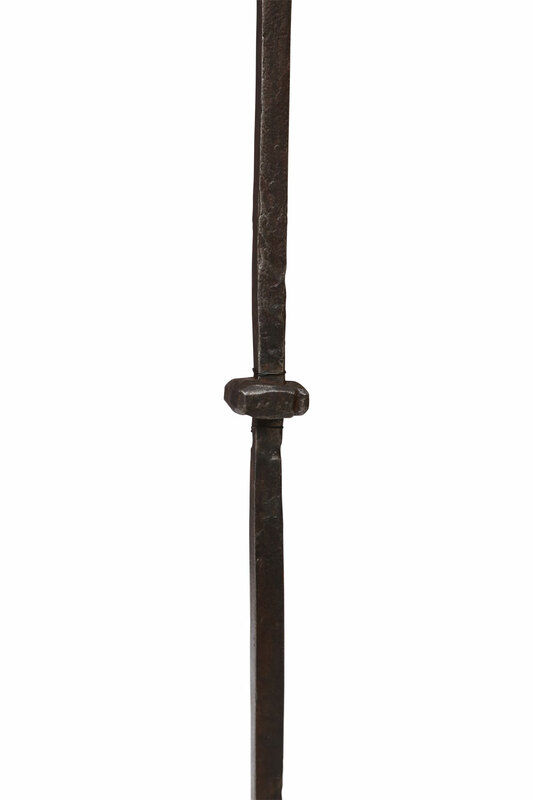 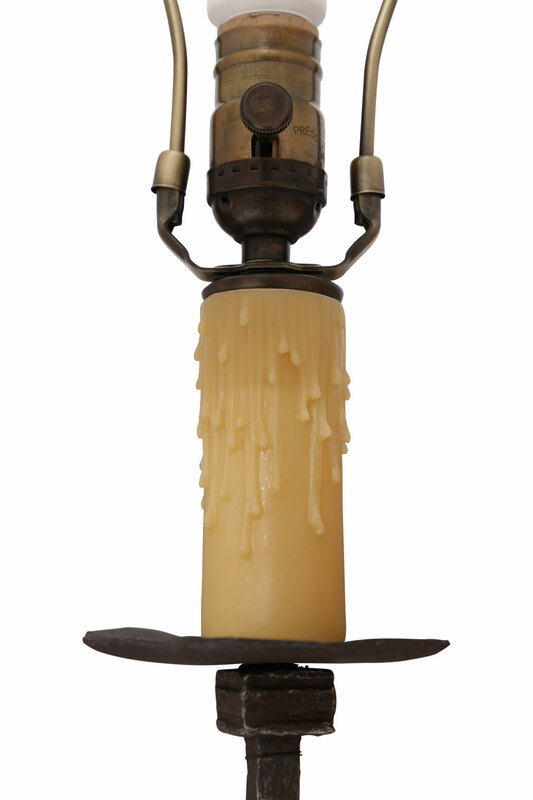 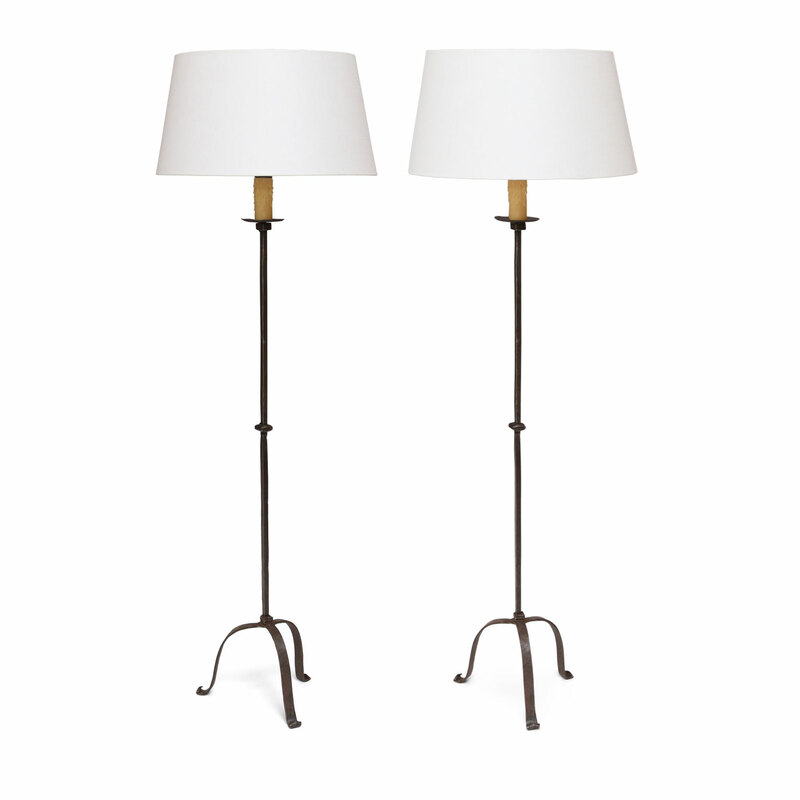 Two custom iron floor lamps from hand-hammered antique candlestands, newly-wired for use within the USA. 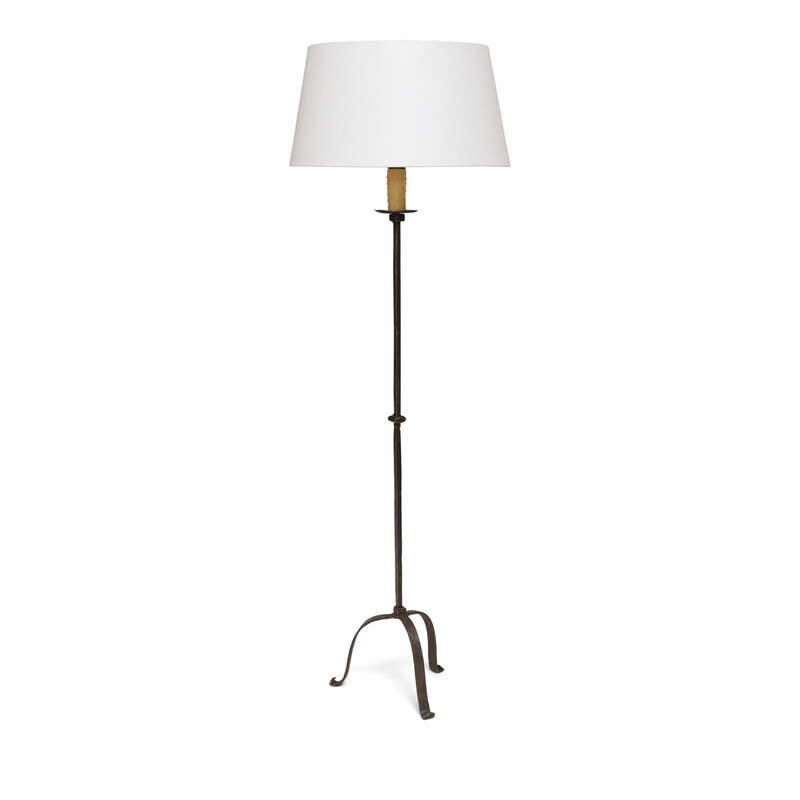 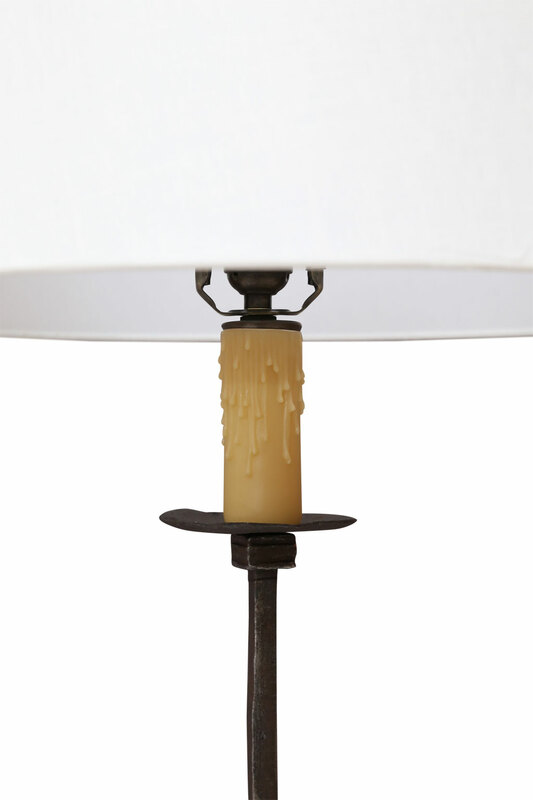 Floor lamps include complementary linen shades (measurements include shades). 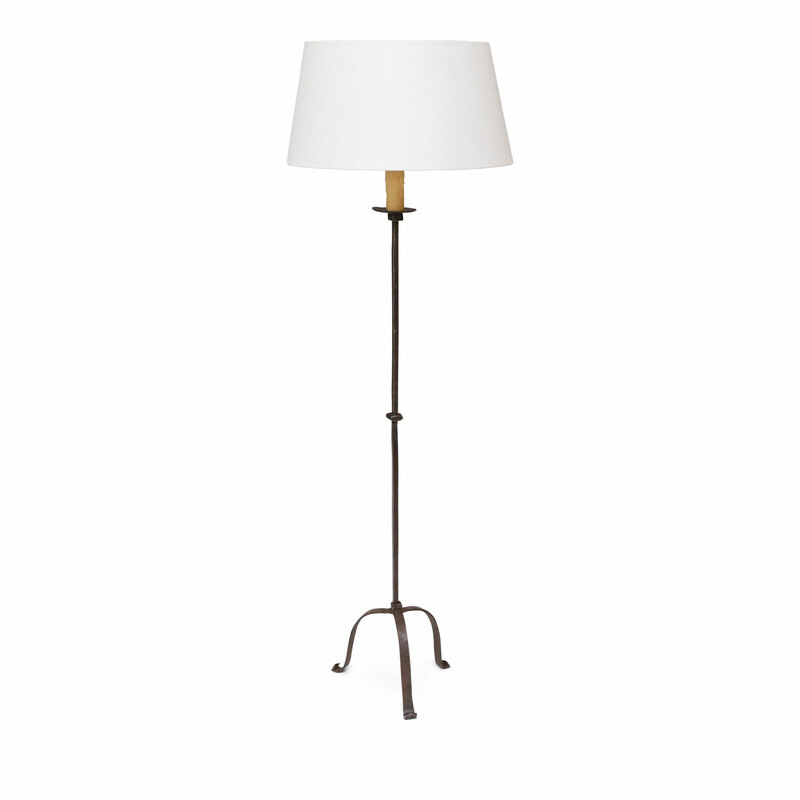 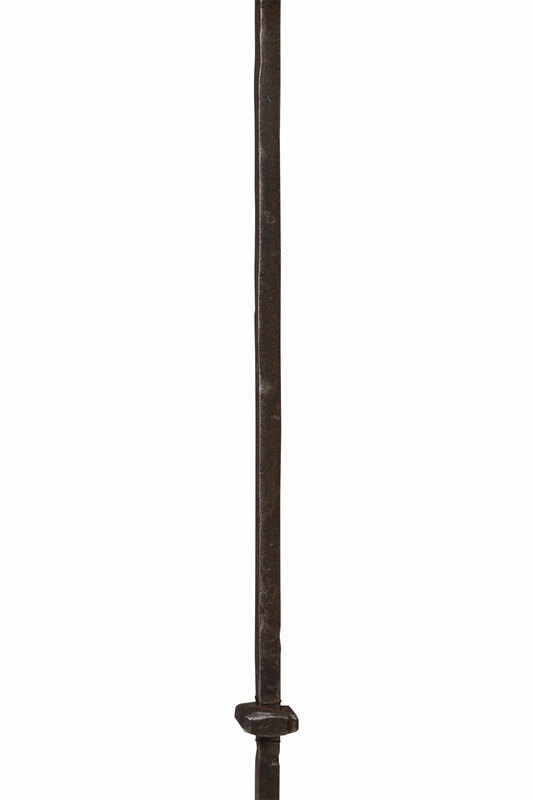 Floor lamp are priced and sold separately for $1,600 each.